With the title of the second most expensive real estate market in America—not to mention its irresistible sandy beaches, warm water, and charming locals—Hawaii is home to numerous lavish estates. How lavish? We’re talking infinity pools, waterfalls, and eye-popping oceanfront locations. 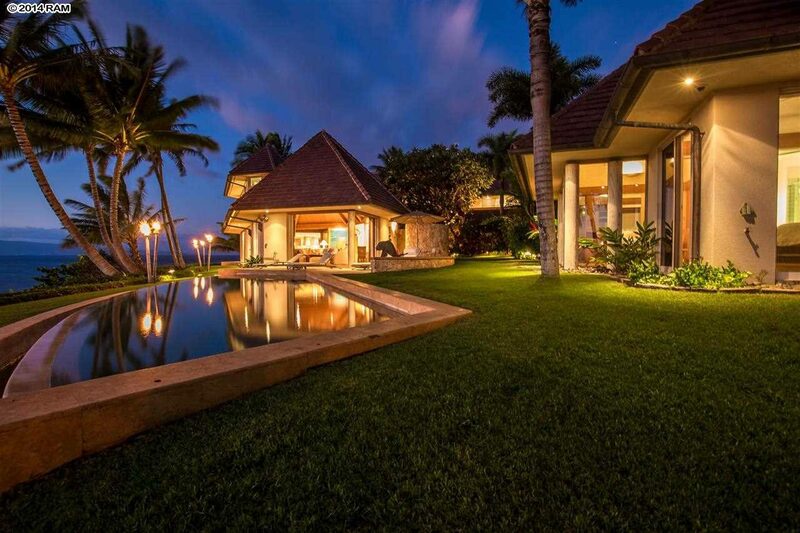 Yes, luxury homes in Hawaii are dreamy getaways for warm-weather lovers with giant bank accounts. We went on a quest to find not only the most expensive and luxurious homes in the 50th state, but also those with unique amenities, add-ons, and quirks (e.g., tennis courts and Teslas). 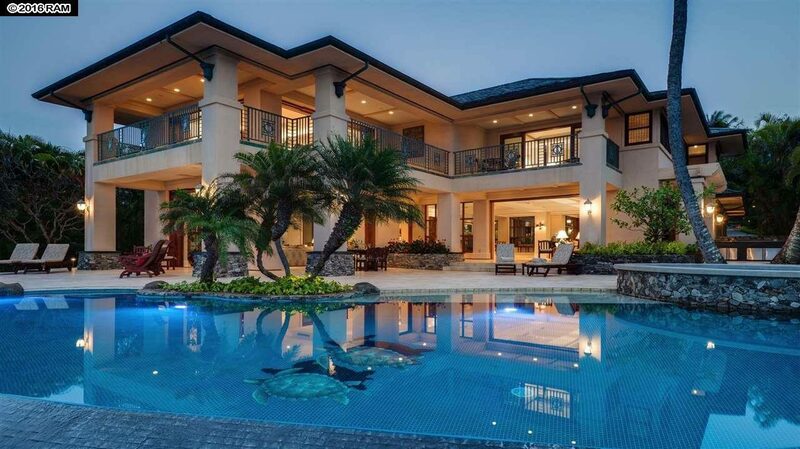 Say aloha to nine of the most over-the-top Hawaii mansions currently on the market. Luxe factor: Have you dreamed of having 28 acres, three buildings, and an orchard in Kauai? Of course you have! This estate’s main house sits on 7 acres of land and features three bedrooms and 3.5 bathrooms. For food lovers, there’s an orchard of organic fruits and vegetables—which you can cook up in the kitchen with marble countertops. Luxe factor: This high-end apartment at Wailea Point is part of a luxury community on 26 acres. 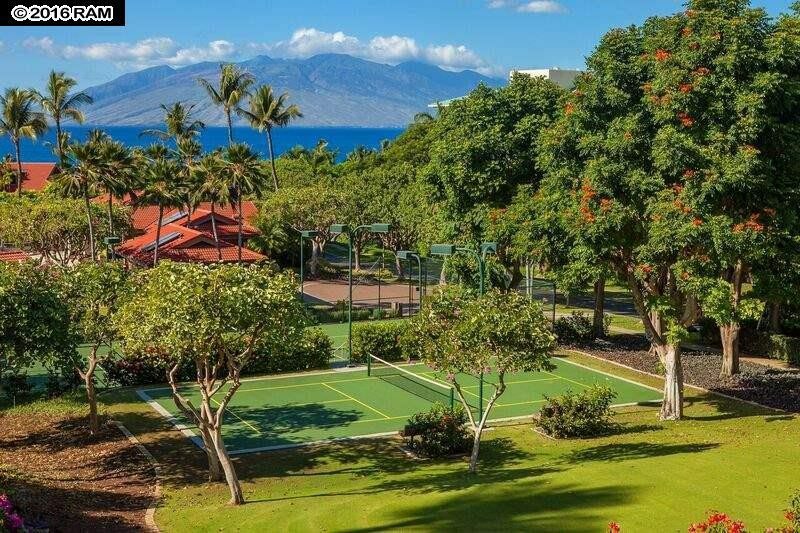 Located by Wailea Beach, the community offers a tennis court, boat garages, fitness center, barbecue areas, and two pool areas with spas and a 25-meter lap pool. Though the $25 million condo has only two bedrooms and three bathrooms, the amenities in the exclusive enclave justify the price tag. Luxe factor: Listed for $38 million in January 2015, this mansion had its price cut in June 2016 to $25 million. The seven-bedroom, five-bathroom home underwent major renovations in 2008, which added a new guest house among other things. Sitting on 2.5 acres, the beach front home includes lava rock walls and sliding doors that lead to the deck, which is perfect for catching some rays. 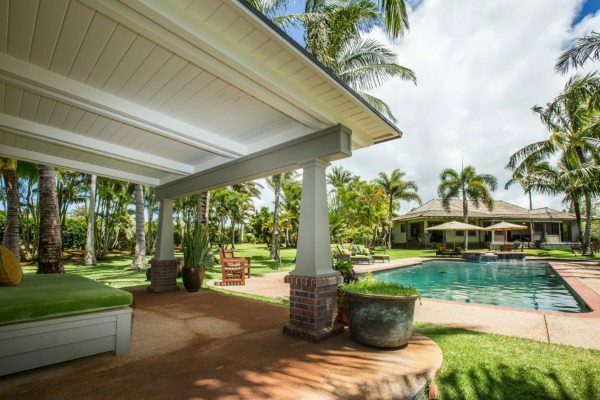 Luxe factor: This Kalaheo estate on 1.5 acres is ready for some epic celebrations. The eight-bedroom, eight-bathroom beachfront home features a waterfall, in-ground heated pool, and sauna. The property also comes with an entertainment cabana, a theater room, and a guesthouse. 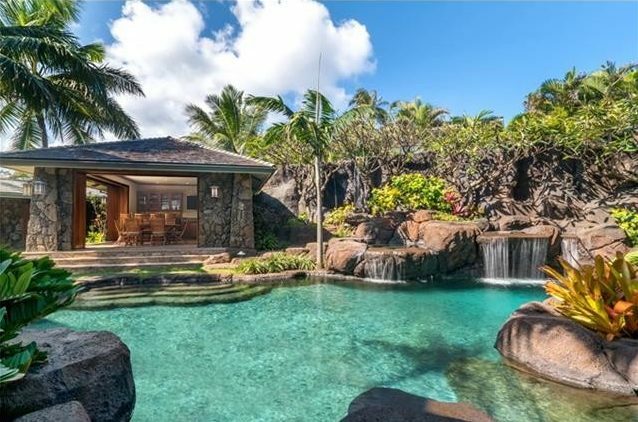 Luxe factor: This Kihei mansion sits on just an acre, but it has enough amenities—notably, the heated infinity pool with a spa and waterfall—to tempt us to move in. If you tire of splashing around on your property, you can also relax and enjoy views of the ocean and Haleakala volcano. 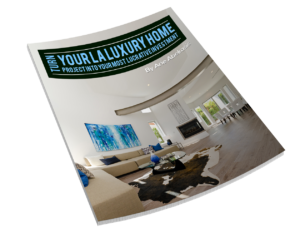 Built only last year, the home has four bedrooms, 4.5 bathrooms, an outdoor kitchen, a surround-sound media room, and an elevator to the master suite. 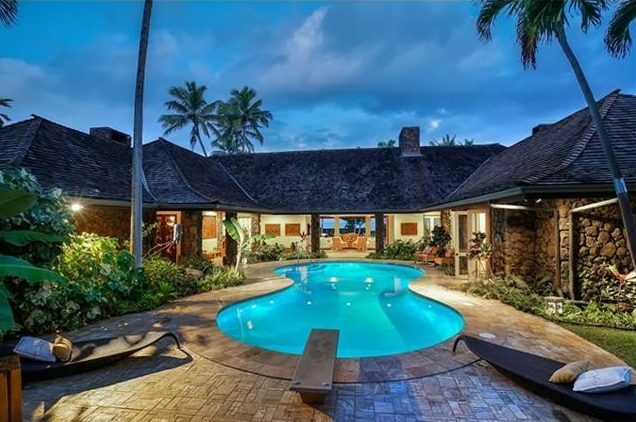 Luxe factor: On the shoreline of West Maui, this mansion was built in 2000, but designed with 19th-century Hawaiian architecture in mind. You can see the vintage inspiration in the home’s stone flooring and Dickey roof. But the modern touches are also mouth-watering. Floor-to-ceiling windows provide spectacular views of the ocean, a guest cottage is ready for out-of-town visitors, and the home is gated to ensure privacy. 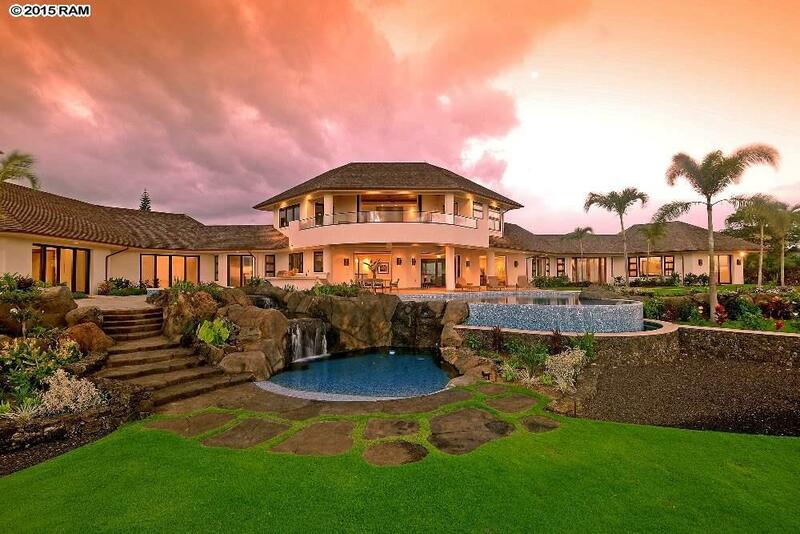 Luxe factor: Nestled on 3 acres of land, this six-bedroom mansion is located in Maui’s Keauhou’s subdivision, one of the state’s most prestigious housing communities. The gated home sits directly across from the beach. It features an infinity pool, ocean views, a theater, and a huge wine cellar. We’ll drink to that! 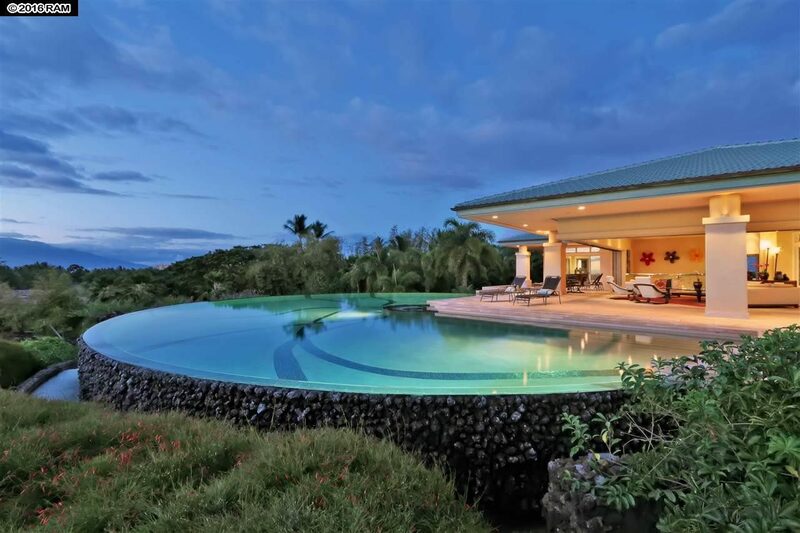 Luxe factor: This four-bedroom home in Oneloa Bay is perfect for the wildlife lover. With views of neighboring Molokai island, this house allows you to watch whales from the back windows. A five-car garage, floor-to-ceiling sliding doors, and tiled turtles in the pool are just a few of the other highlights. Its open floor plan and easy exterior access make the home perfect for entertaining, and for an occasional sighting of Shamu the whale. Notice the turtles in the pool? Luxe factor: A home that comes with a Tesla? We’re ready to roll. This opulent mansion is luxurious, yet completely off the grid. With green living in mind, it includes battery storage, a backup generator, and a photovoltaic system. The electric car is a sweet bonus for the buyer of this eco-friendly home. 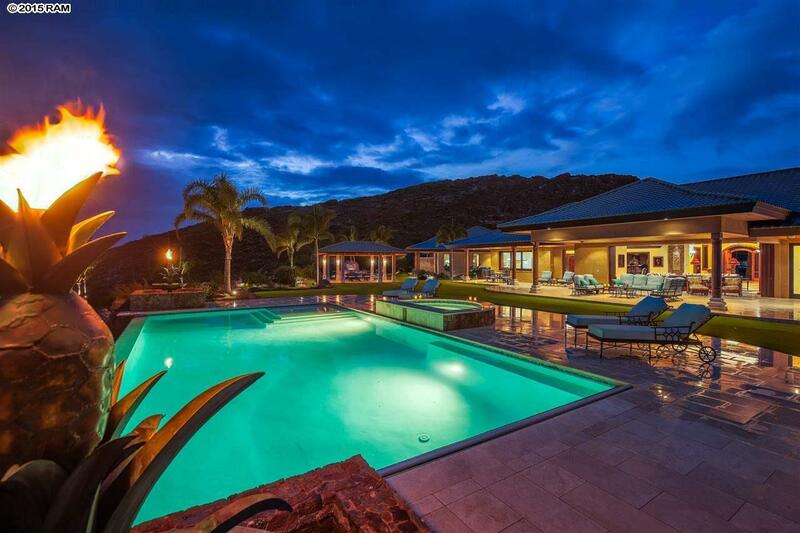 Built in 2012, the home sitting on a 28-acre plot features six bathrooms, four bedrooms, an in-ground heated pool, custom-designed kitchen, and panoramic views of South Maui. 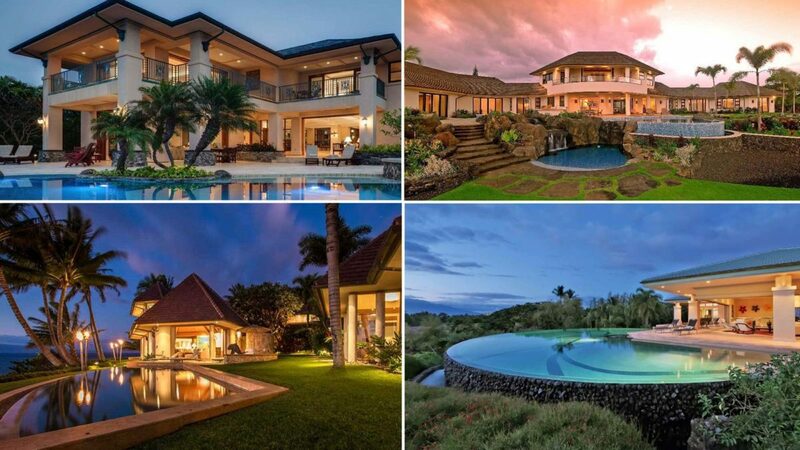 The post Say Aloha to 9 Jaw-Dropping Luxury Homes in Hawaii appeared first on Real Estate News and Advice – realtor.com.